Inspired by the Earth's seasons, our Qauint Blue Butterfly Bouquet offers a unique array of daisies, carnations, waxflower, and pittosporum. Last but certainly not least, it is topped off with an adorable butterfly pick, sealing in its rustic feel! 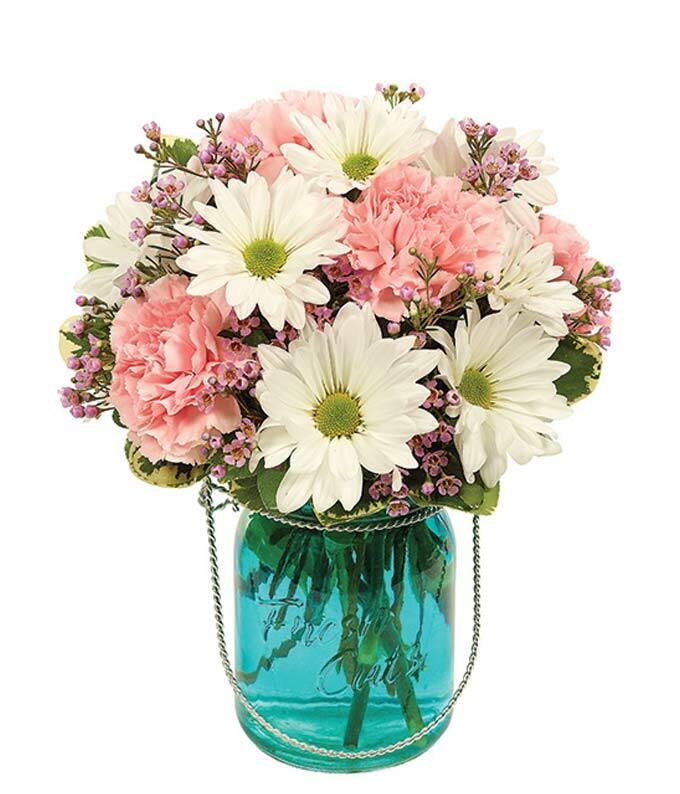 This wonderful, rustic arrangement is thoughtfully designed with your loved one in mind. Hand-delivered from a local florist in a blue mason jar. Measures 9"H X 10"L.